It was mistake be battery workshop,you must reset battery information with computer to car after changing. So I suppose I should really update this post now that alot has changed with the pulsar! I have a full time job which takes up all of my time so thats why this thread has almost died. 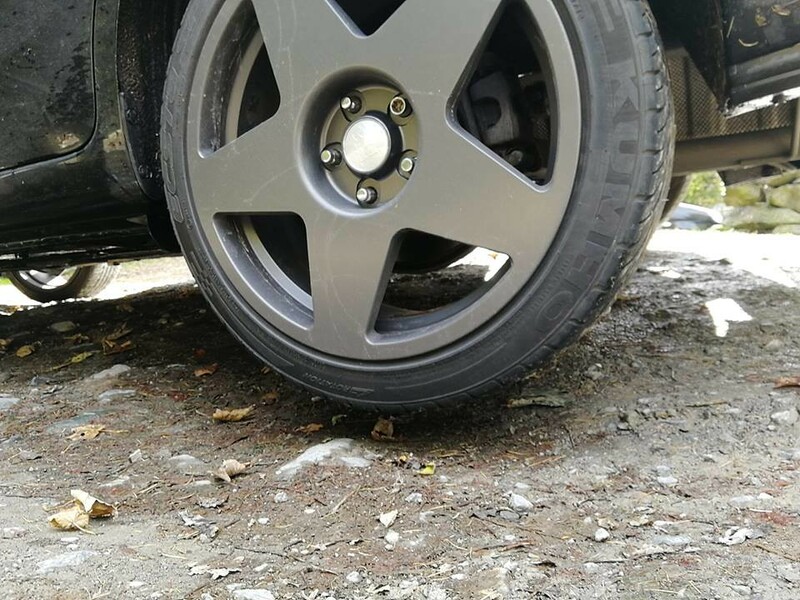 I recently purchased some Bola B10 18x8j wheels off of a good friend and member of the forum and some other red accents for the car. I am so happy with how the car looks now! Its almost perfect! 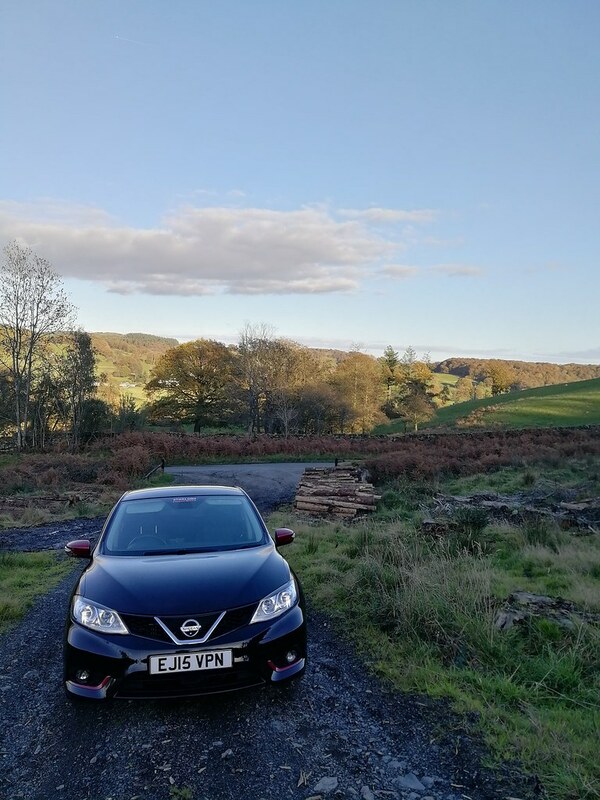 I recently went on holiday to the lake district with the other half and his family and snapped this picture, she looks good if I do say so myself! We pulled over to take a photo of the scenery and I couldnt help but snap this picture of the pulsar! After the wheels were put on I have fallen back in love with her again. Whilst turning into a national trust car park I noticed when I stopped the car felt funny, I got out and found that the pulsar has turned into a tripod! The other side looked like this! This really makes me want to put the car on air suspension! I would love to park the car and air it out so it sits in the arches! Then start the car and have it at a sensible driving height! The current mileage is 62500 miles. I wont say how much it cost me but put it this way it wasn't as expensive as you might think! The car has also had the big 3 upgrade done which if you are into your car audio you will know what im on about. It also has a custom made (By Myself) induction kit to give it a bit more turbo noise as well as getting a set of brand new focal component speakers in the front after my old set of speakers died as well as a Pioneer AVH-8700BT double din headunit. I have fitted a removable tow bar so that I can use my new bike carrier, I wasn't keen on having a rear mounted bike carrier that sits on the rear window. I have seen far too many windows break because of them! 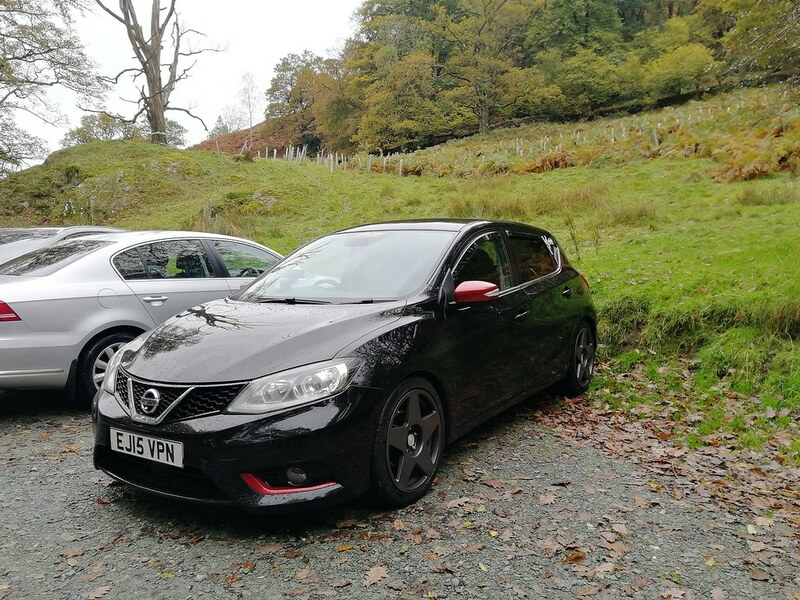 The car is booked into have a stage 1 rolling road remap done, this will bring the power up to 141bhp and 320nm of torque. 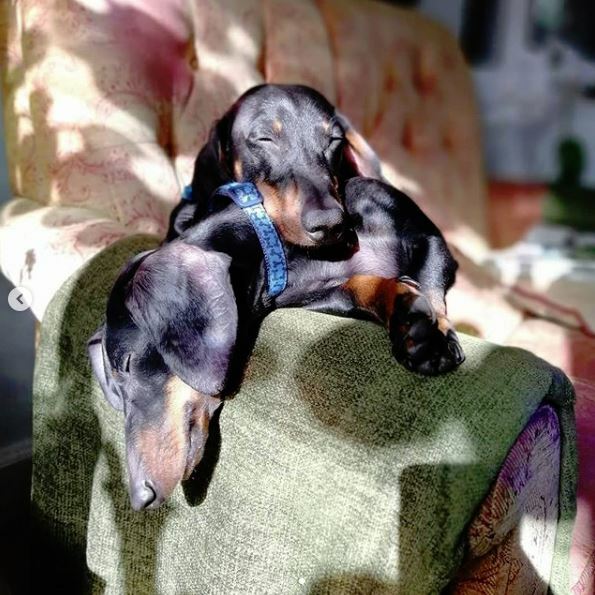 Im sure I will update you again soon but I also now have two dachshunds to keep me on my toes! Thats all for now! Im looking forward to seeing your replies and what you think of the car! I don't know about the dogs keeping you on your toes. From the photo they seem laid back enough to be comatose. Haha you would be surprised! They can be hard work at times. They both need about an hour of walking everyday! Alot for a dachshund! Have you got them raincoats like the ones in the 'Vitality' ad? Them wheels look superb. Just finishesnit off nicely. I am tempted to get some that's for sure! Milo and Slinky would definitely be saying "this is positively awful"
Thanks man. I'm really happy with how it looks now. Alot of other pulsar drivers look at mine and are like "wow that's awesome"
were the wheels a straight swap and what tyres have you got on them. 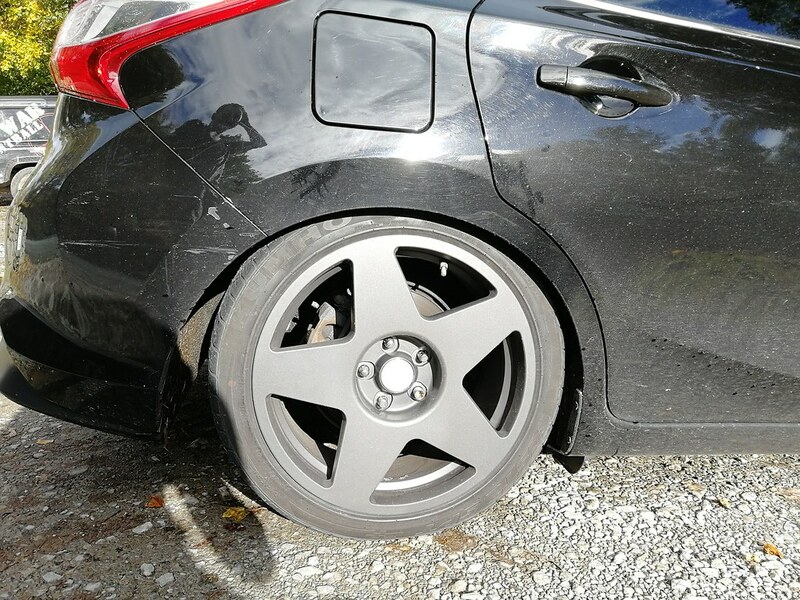 are the tyres any good, I will possibly have to change my tyres next 6 months on my 1.6 Tekna.